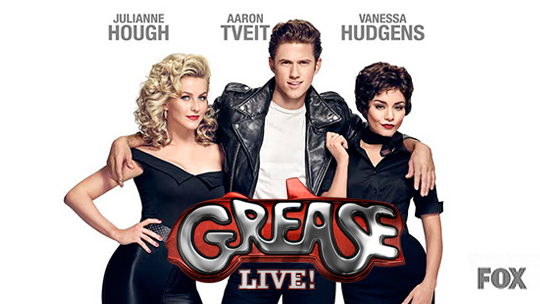 Tonight was the live production of Fox’s Grease: Live, starring Julianne Hough as Sandy and Aaron Tveit as Danny Zuko. The adaptation of the well-known musical and movie also starred Vanessa Hudgens, Keke Palmer, Carly Rae Jepsen, and Carlos PenaVega. 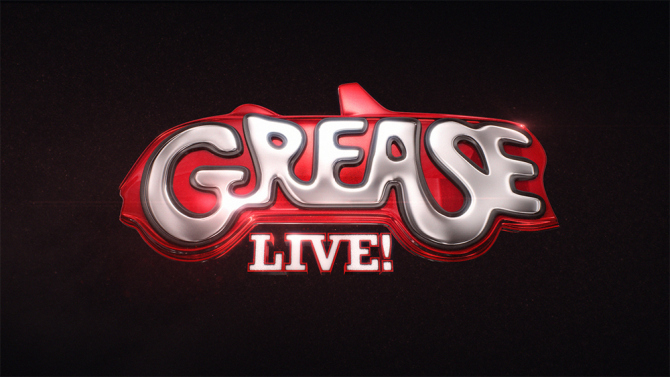 Grease: Live stays quite true to the movie version most fans will be familiar with and includes nods to the original stage version as well. Julianne Hough wass remarkable as Sandy. While known for her dancing talent, I was very impressed with her acting and vocal skills. Her resemblance to Olivia Newton-John is hard to miss and her execution of the role was impeccable. Aaron Tveit was good as Danny Zuko, but not extraordinary. His voice is great but as a whole he doesn’t have the edginess required for the role of Danny Zuko. He seems like more of a supporting player than the lead role. In my opinion, the surprise standout of the night was Vanessa Hudgens as Rizzo. Her vocal performance is stunning and she’s got the attitude down pat. Her performance of ‘There Are Worse Things I Could Do’ was spectacular and one I could watch again and again. Hudgens’ performance is especially noteworthy given the fact that she lost her father to Stage 4 cancer yesterday. Live television doesn’t always go as planned – but the rain or occasional sound difficulties couldn’t stop the show from going on and it was fun to see glimpses of the behind-the-scenes action. Carly Rae Jepsen was perfect as Frenchy. Her scenes with Didi Conn, the original Frenchy, were a great tribute to the movie and amusing for fans in the know. On a related note, Beauty School Dropout was excellent! Boys II Men were a great choice for that piece. As a whole, the supporting cast is great and kept the show going when it could’ve gotten slow. That ending was fantastic. ‘You’re The One That I Want’ and ‘We Go Together’ were spectacular and reminiscent of the movie. I was definitely singing along at home! Serious kudos for the flawless costume and set changes. I loved the little snippet of the “behind-the-scenes” craziness when the cast piled into carts for the finale. Overall, the performance and execution of Grease: Live was very well done. I wish some lines and references had been updated to modern times but respect that Fox chose to stay true to the original. There were a few blips here and there but nothing that took too much away from the overall enjoyment of the show. Grease: Live will live on as one of the most enjoyable and successful live musical performances: with the spot-on casting, upbeat ending, and cameos galore, it’s worth the time if you’re a Grease fan.